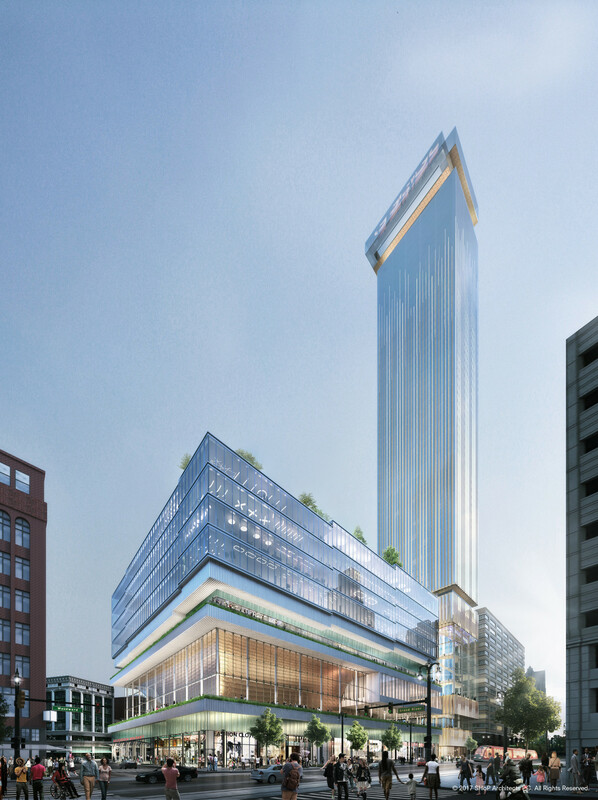 Michigan Government Rick Snyder, Detroit Mayor Mike Duggan, and Quicken Loans founder Dan Gilbert were on hand for the groundbreaking of what will be the tallest building in Michigan. 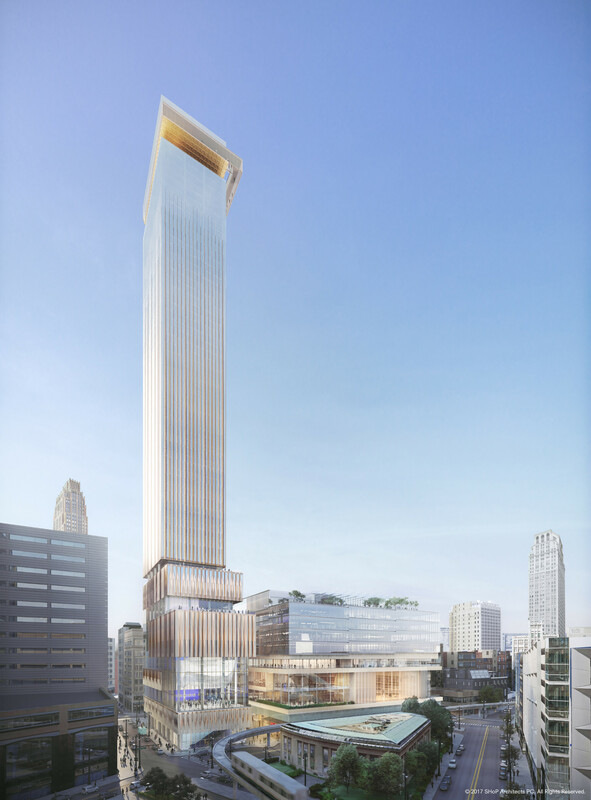 The SHoP-designed project is now expected to rise to 800 feet, making it at least 70 feet taller than John Portman’s Renaissance Center, currently the city’s tallest building. 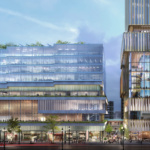 New renderings show a slightly more conservative formal language for the project. 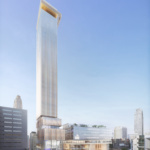 Most notably, the once slightly twisting tower has been straightened out, and deep curving insets have been designed out of the second (lower) building of the project. 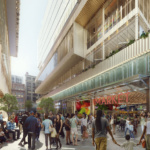 New York–based SHoP is working with local architects Hamilton Anderson Associates on the project, which is being overseen by Gilbert’s Bedrock development company. 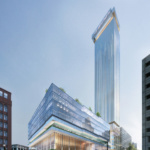 The $900 million project will include well over 300 residential units in the 58-story tower, which sits next to an additional 12-story mixed-use building. 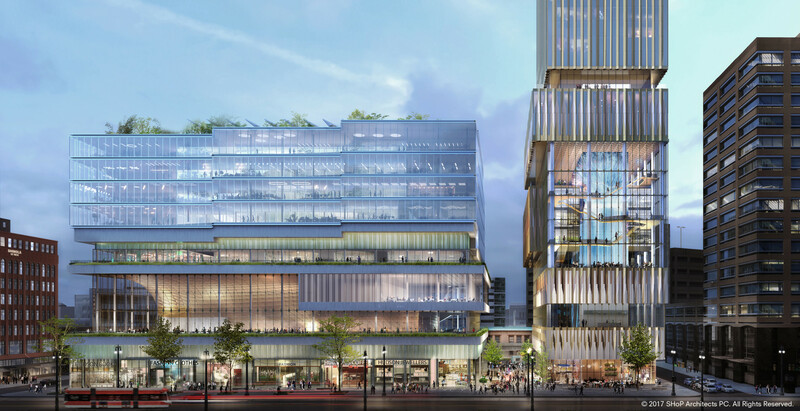 The ground level of the lower building will include a large market and exhibition space, along with other retail and civic spaces. An observation deck will top the tower. 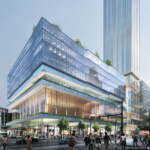 “The building is conceived around a huge and inspiring new public space, a year-round civic square that, both in its architecture and its culture, will foster and convey the feeling we all share when we work together to imagine what this great city can become,” said William Sharples, principal at SHoP, in a press release. 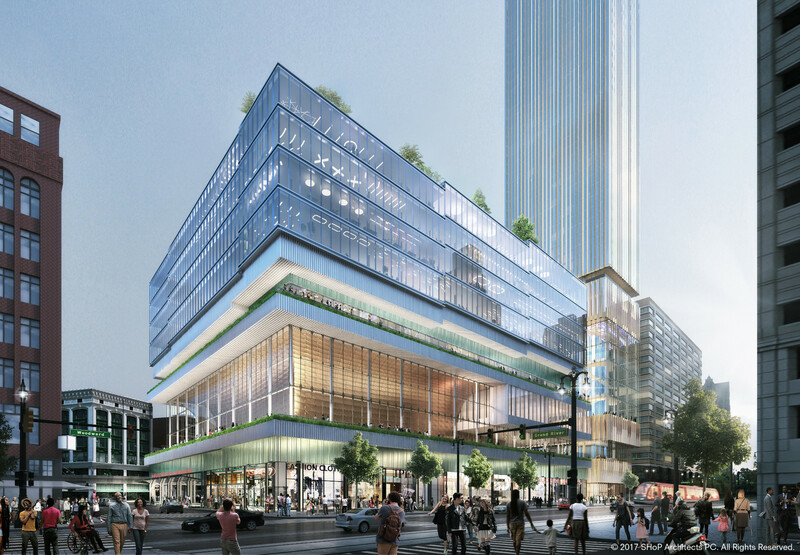 The project is being built on what was once the site of one of Detroit’s most popular department stores, Hudson’s. Once the tallest department store in the world at 25 stories, the Hudson’s building was closed in the early 1980s and imploded in 1998. The groundbreaking earlier this week begins the three-year building process. 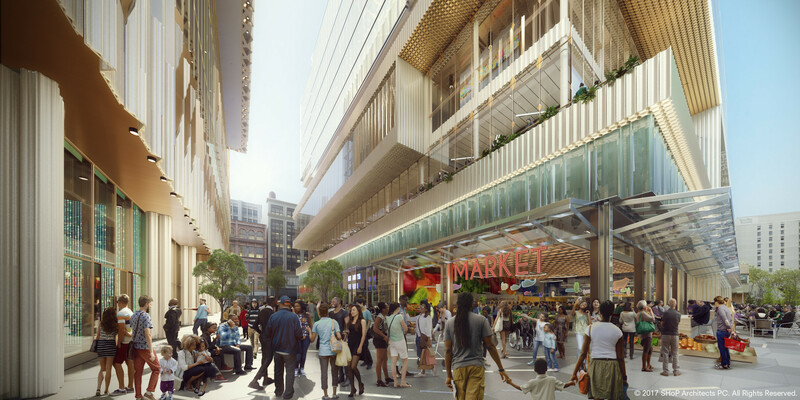 Along with this new project, Bedrock is planning to invest $2.1 billion in four projects throughout the city.